Continue your incredible journey to the inner world of animals! 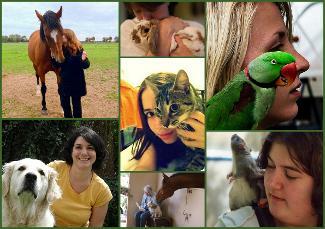 "Heart to Heart with Animals" is Part 2 in a foundational series to learn Animal Communication. The intuitive senses you awakened in the first guided journey, will now be strengthened and focused. In the grounded and practical way that only a hereditary Animal Communicator and healer can, Reisa Stone demystifies concepts such as chakras, the Third Eye and spirit world contact. You'll receive a list of questions specific to the daily concerns of animals. Not what most people believe they think about---but what a seasoned Communicator has heard them express repeatedly. As an added bonus, Heart to Heart contains a section on finding lost pets.